While the importance of healthy eating on our physical health is well established, many people do not realize that what we eat also affects our mental health. Our brain is an organ, just like our heart or our liver, and our brain chemistry is sensitive to nutrition. Food can affect how we feel, think, and behave. Our brains are made up largely of fats and water, making these nutrients an integral part of brain health. While fat is not hard to come by, the typical North American diet is low in omega-3 fats. 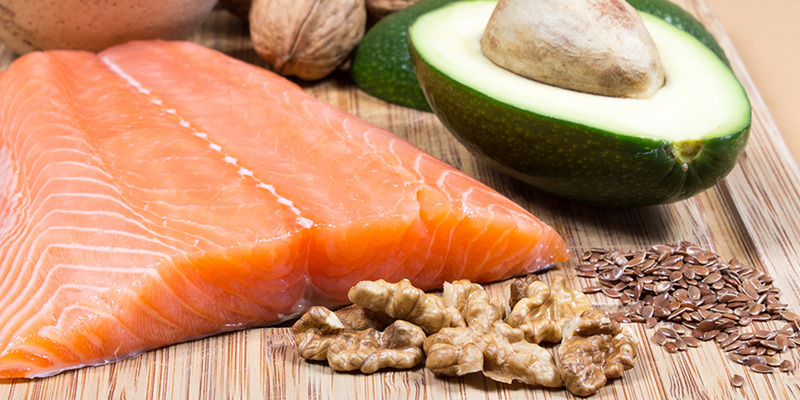 Increasing our intake of foods rich in omega-3 fats – such as fatty fish (salmon, trout, mackerel, and sardines), canola oil, almonds, walnuts, and flax oil – will help to tip the ratio of fats into better balance for optimal brain health. A steady supply of fuel, in the form of glucose, is also required for our brains to function. Whole fruits, vegetables, legumes, and whole grains are good sources of fuel. Glucose is also important in helping certain amino acids enter into our brains. Amino acids come from protein-rich foods and are the building blocks for neurotransmitters (messenger cells) such as serotonin and dopamine. These neurotransmitters influence our mood, memory, and cognition. Limiting our intake of trans fats is also good for our mental health. Abundant in processed and convenience foods, snack foods, and commercial baked goods, trans fats impair our brains ability to use omega-3 fats. In addition, while refined grains and simple sugars (from food or beverages) deliver glucose into our blood stream, they do so too quickly and therefore do not provide a steady and consistent fuel supply for our brains. What can you do to ensure you have the right nutrients available to help maintain your mental health? Eat regular balanced meals and snacks throughout the day. Include protein-rich foods with your meals (fish, lean poultry, eggs, low fat milk products, legumes, and soy products). Emphasize whole grains, fruits, vegetables, and legumes. These foods are more filling, release glucose more slowly, and have a higher nutritional value than refined grains and high-sugar foods and drinks. Increase your intake of omega-3 fatty acids, emphasizing fish sources. Include two to four servings of fatty fish per week. Choose healthy fats such as canola and olive oil more often than saturated and trans fats. Stay well hydrated. Include water throughout the day and limit your intake of sweet and caffeinated beverages. Limit alcohol. It can decrease your mood in the long run, and as your body uses up some important nutrients (thiamin and zinc) in the process of detoxifying, your mood may be further reduced. Don’t forget some activity to release endorphins that make us feel good and help us relax. Outdoor activities also expose you to sunlight, which can be uplifting as well. Skip the chips and pop if you’re hungry before bed. Grab a protein rich snack with a small sweet or starchy food (such as a glass of milk and a banana) to help increase your serotonin levels, which will have a calming effect. Eat a balanced diet high in whole foods to help you meet your vitamin and mineral needs. Some people may benefit from a multivitamin, or from supplementation with specific nutrients; talk to your healthcare provider.